Two of Hopkins Architects' recent projects, Brent Civic Centre in Wembley and St George's Chapel in Great Yarmouth, have been awarded RIBA National Awards in recognition of their outstanding architectural merit. 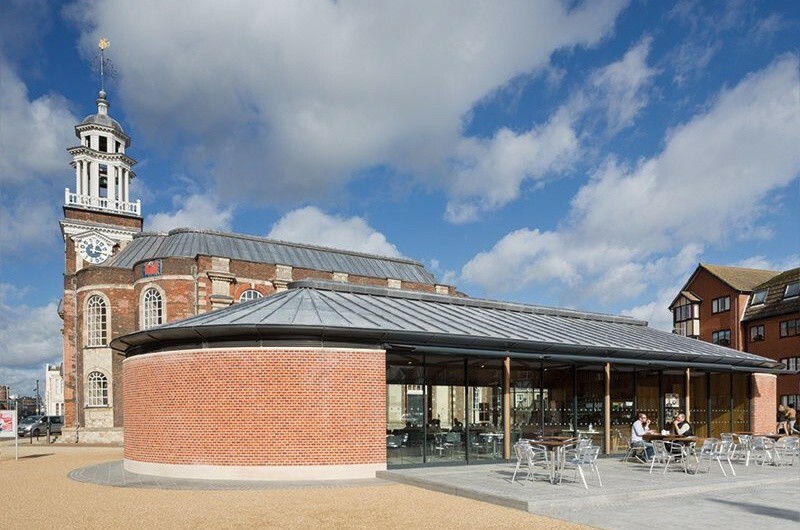 In addition, these two projects were singled out as exceptional examples of the award winners this year, with the Civic Centre described as "big and bold" alongside St George's Chapel's "elegant public square and café". The RIBA National Awards are among the most rigorously judged awards for architectural excellence and recognise the best buildings completed throughout the world. In the past five years, Hopkins have been awarded 12 RIBA National, EU and International Awards, making it the (joint) most successful practice in the UK.